A smartphone is so much more than just a mobile phone. You can install all kinds of apps to turn the cell phone into something completely different. An app, or application, is a software program that enables all features of your smartphone so you can use it as a GPS, gamecomputer, office computer, videocamera, you name it. That way you can also contemplate to install an app to turn your smartphone into a dashcam: a so called “dashphone”. But can we simply use a smartphone as a dashcam, or is this a bad idea? Although indeed there are apps available for iPhone, Android and Blackberry, there are some significant disadvantages to turn your smartphone into a dashboard camera. Let's go through everything in detail that can go wrong with your smartphone as dashboard camera. 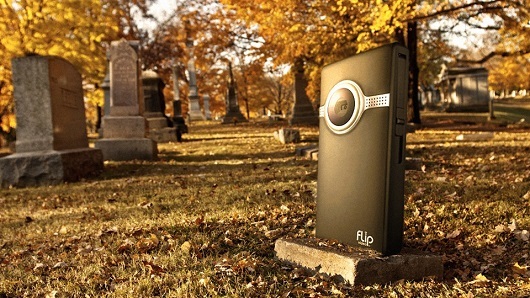 Most smartphones are not designed to record 1080p (Full HD) video for extended periods of time. If you decide to use your phone for this purpose anyway, then over time, it will inevitably overheat and lock up. That will cause the camera to stop functioning and thus not capture any more video. That means you forego all the advantages that even the most modest of dashcams should normally offer: protection at all times. The overheating and lockups can cause permanent damage to your hardware internally, in the smartphone. That causes the device to stop recording or create even more corruptions that will eventually disrupt the normal usage of your phone. Your SD-memory card also has to be suitable to write high quality video continuously at high speed, otherwise the video quality will be inferiour. On newdashcam.com we only offer at least class 10 SD-memory cards that are designed for high speed read and write operations. This causes a critical problem as well: whenever a phonecall or text messages comes in, the camera stops recording. Right at that moment it's very likely and dangerous to get involved in an accident. If there is no video, there is no eye-witness and all your efforts were in vain. Using a smartphone as dashboard camera implies that you snap it into its holder in a position that has a good view on the road. This means that your smartphone has to be placed in the line of sight of the driver, thus blocking the view. This leads to unsafe situations whilst driving. 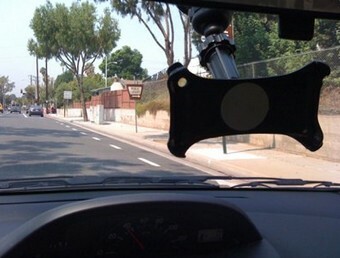 We at newdashcam.com always recommend a discrete dashcam that can be hidden from sight behind your mirror. That is one of the advantages of a dashcam: plug & play (& forget)! As if that wasn't enough, an enchanting smartphone dangling around in plain sight attracts the unwanted attention of thieves. 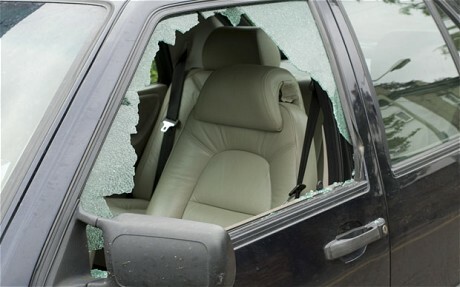 Your expensive device behind the windshield will invite car plunderers by the dozen. Compare this with a discrete dashboard camera: even IF someone spots it, it will be a strong deterrent rather than an attraction. A dashcam without holder / cable can't be resold that easily and doesn't even come close to the financial return of a stolen smartphone. So in short, your dashcam is more appropriate to use than your smartphone. The low framerates are another reason that make a smartphone inadequate as a dashcam. Because of the speed and circumstances on the road, your camera constantly has to readjust focus, adjust to brightness conditions, and the low framerates contribute to choppy video. All this results in video that's below par and in many cases even useless. The viewing angle is another thing that's not good enough on smartphones. Dashcams are specifically engineered to film wide viewing angles. That way, the dashcam has a complete panoramic vision of the road. A smartphone has a very narrow viewing angle, comparable to the cheapest Chinese fake dashcams. Ideal for making photos or family videos, but disappointing to film all the details at the left and right side of the vehicle. Details that might prove vitally decisive when confronted with a sideways car crash. The total cost of a smartphone + app can't be justified, compared to the reasonable price of a dashcam. The lifespan of a dashcam is also considerably longer because it operates by the principle: “do one only thing, but do it well”. A smartphone is high priced because it is designed to be an all-rounder, whereas a dashboard camera is a specialist in doing one single task. As a result, the total price for a dashcam is much lower, but the quality of the end product is vastly superior. A smartphone can't be underestimated as a powerful solution to the many challenges a modern individual has to bear: you can use the device for virtually everything to make your life easier. Nevertheless, to perform certain tasks for a long period of time, you're better off with dedicated equipment. In short, you can use a smartphone to perform all these tasks, but it's not very productive. We can conclude that using a smartphone as a dashcam is a bad idea. The device isn't engineered to process long recordings. There are all kinds of scenarios that prevent the phone from filming: a phonecall, text message or email, overheating, locking up, you name it. The risk that your hardware fails or gets stolen is also very real. Conclusion: buy a dashcam if you're looking for the best solution to film your adventures on the road.